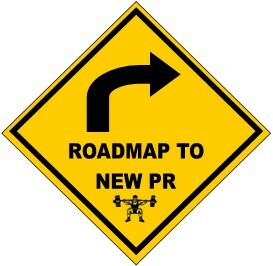 Navigating the tortuous road to athletic achievement requires a comprehensive roadmap. Motivated trainees are constantly searching for the latest protocol that will transport their performance to the next level. They will scour the Internet for the most recent training methodology. Athletes will dive into the pool of printed media including articles, journals, periodicals, and texts in an effort to find the missing link that will take them from novice to elite. Some will even travel cross-country to attend seminars, taught by experts, in their respective endeavor. These options require one to use much of their disposable time. In an age where time is such a rare and precious commodity, trainees often waste their time by looking in the wrong places for answers to the physical achievement riddle. When you aren’t reaching your goals, there are not an infinite number of places to look for the answer. For athletes, the answer usually falls into one of the following general categories: nutrition, recovery, or training. Within each of those categories lie many subcategories. For example, within the nutritional category there are pre-training meals, post-training meals, supplementation, fluid intake, as well as health-related issues such as allergies and diabetes. If we’re examining recovery, we need to consider rest between training sessions, time between competitions, sleep patterns, attention to injuries, prehabilitative modalities, and the list goes on. Within the training arena there are many variables such as exercise selection, intensity, rest periods, technical ability, proper planning, and volume. Within each of those variables lies even more division. All of these ‘places’ to look for your answer can become both confusing and frustrating. Sometimes it feels like we’re looking for a needle in a haystack. With so many areas to examine, some people overanalyze every aspect of their lives while others stop looking altogether. I’ve certainly been guilty of overanalyzing my own training. Sometimes breaking down every aspect of your pursuit is the answer. Other times the answer might be right in front of you. My best advice is to first scrutinize an area that most forget to consider. Start at square one. Square one is technique. Technique is the foundation of any athletic endeavor. It doesn’t matter if you’re teeing off in a golf tournament, serving a tennis ball, shooting a free throw, squatting 500-pounds, or hurling a javelin – your technique is the single most important aspect of your journey. The good news is that technical mastery is something you have complete control over. While it’s true that some athletes have amazing success with poor technique, they are the exception rather than the rule. You can have all the ability in the world but if you fail to hone your skills, eventually it will show. Form and technique are terms often used interchangeably. In reality, they mean different things. Form refers to an accepted procedure or set of steps to perform a skill. In the powerlifting squat, it’s common knowledge to break at the hips first, sit back with an arched torso, descend, open your groin by pushing your knees outward, hold your chest up, and keep your abdominals tight by pushing them out. These are some of the key points to remember while descending into a full squat. Regardless of your respective sport, these steps should be followed when performing a power squat. Technique, on the other hand, refers to one’s own approach to those procedures. In other words, it’s your own “artistic stamp” on the performance of a skill. Again, using squatting as an example, we see wide-stance squatters like Eric Kupperstein and then lifters that employ a narrower stance like Kirk Karwoski. Both men have the ability to squat ponderous poundage yet they go about it quite differently. They have crafted their technique over years of training (practice). Eric Kupperstein and Captain Kirk Karwoski both get the job done. They just go about it differently. Genetics play a huge role in technique. You are not likely to see tall powerlifters squatting with an extremely narrow stance. Typically they’ll squat with a wider stance. Technique can vary based upon gender, genetics, and sometimes you’ll see regional differences as well. Many women use a sumo deadlift stance as it suits their wider hip structure. The elite Asian lifters primarily deadlift using ultra-wide sumo stances. Their Russian and Ukrainian counterparts use a more narrow sumo technique. The best way to perfect your technique and achieve skill mastery is to practice like you play. Appropriate practice methods and specific training are prerequisites for optimizing performance. Optimal results are best achieved through repetitious practice of the necessary skills involved in performing your task. For the competitive powerlifter, this means practicing the competitive lifts. Westside Barbell’s Louie Simmons has done more for the sport of powerlifting than most. He has helped revolutionize training methods and the way people examine their training. His contributions to the sport and willingness to help others are laudable. Employing advanced techniques such as bands and chains are merely the tip of his knowledge iceberg. I’ve spoken to Louie a few times, over the phone, and had the pleasure of meeting him in person in York, PA back in 1998. He was generally affable and we spent most of our conversation discussing training. In fact, at one point, he was swarmed with so many questions that he asked if I would take a small group off to the side and explain the advantages of box squatting and waving your loads via percents. He gathered from our conversation that I understood his methodology enough to translate it to others. Frankly, I was honored. To this day, I still consider Louie Simmons to be one of the brightest minds in the world of strength. Today we often hear people described as geniuses or as being great. I do not use those terms loosely. It takes a very special mind to be considered a genius. And true greatness is only achieved over time. Almost anyone can be excellent for a short time. Louie Simmons is truly a genius. I would be willing to bet that his IQ is off the charts. His mind continues where others leave off. He will experiment with most any method to determine its efficacy. If it works for his gang, he’ll use it until it doesn’t work anymore. If it isn’t effective, he disposes of it and moves on to the next idea. He has developed a near-perfect training system for geared lifters competing in multi-ply powerlifting federations. Multi-ply federations have different standards of performance for their lifts. While the rules of performance are written the same in their rulebooks, their actions speak louder than their words. Having attended more than my share of multi-ply meets, I have witnessed firsthand the dissimilar standards. This isn’t an attack on those federations. It’s just reality. While I vehemently disagree with what they allow and deem acceptable, I’m not using this particular medium of expression to mount a personal attack. Lifters have a choice of where they want to compete and I choose to compete in the USAPL. Almost all of the lifters I coach and consult with also compete in the USAPL or IPF. Accordingly, most of my teaching is directed at powerlifters competing in similar organizations. That being said, I’m interested in explaining why the methods that Louie has popularized aren’t entirely applicable for raw and/or single-ply lifters competing in the AAU, USAPL, IPF, 100% Raw, and similar federations. The Westside training system, as it’s become known, features some venerable Russian training methods. While strength can be expressed in a myriad of ways, it basically boils down to dynamic strength (speed strength / power), maximal strength (max effort / 1RM), and muscular endurance (repetition method). Westside brilliantly weaves these three methods into a weekly plan where each method is featured on a different day and special exercises are rotated via the Conjugate Method. These methods are nothing new. Louie has merely expounded upon them and forged them far beyond their original boundaries. While the methods themselves aren’t new, his process of employing special exercises is fresh and innovative. Westsiders and their disciples use special exercises such as box squatting, board pressing, floor pressing, Zercher squats, and special deadlifts to develop and peak their strength. Couple these movements with changes in grip width or stance and you have hundreds of variations. You can then take those variations and add bands and/or chains to accommodate resistance and manipulate one’s strength curve. Now you have hundreds more. Different specialty barbells can be used with those exercise modifications. The safety squat bar, cambered bar, trap-bar, and Swiss bar are just a few that come to mind. Now those hundreds of exercises soon mutate into thousands. The Westside system is the epitome of variety. It’s a smorgasbord of training modalities. And while many of these thousands of exercises are useful in strength development, powerlifters should not use them at the exclusion of the competition-style squat, bench press, and deadlift. Special exercises should be used to address specific weak points. While it’s true that a chain is only as strong as it’s weakest link, if the chain is constructed of poor materials (technique) then it’s going to be weak from the outset. Why bother using fancy bricks, imported wood, tile roof, and platinum fortified nails to build your house if your foundation is poured on sand? Developing, enhancing, and honing one’s technique is a lifelong process. Repetitious technique practice is like pouring a solid foundation of concrete. Executing your technique should become mechanical and so habitual that you almost become robotic. In theory, one should be able to set-up a big squat with their eyes closed. The same is true for nearly any physical skill. The best way to improve at shooting free throws is to practice shooting free throws. While shooting a jump shot or three-pointer look somewhat similar to a free throw, they’re simply not the same. The same can be said for box squatting and squatting. I’ve never seen a box squatting competition, so why make that your staple movement? Box squatting has its place as an assistance move to correct very specific breakdowns in technique, improve hip mobility, strengthen the hip flexors and posterior chain, and to teach lifters to sit back and stay tight throughout the lift. However, it should never take the place of competition-style squatting through a full range of motion (ROM). Board presses follow the same logic. They resemble a bench press but aren’t the same. Many lifters become world-class board-pressers and then bomb at meets because they’ve never done a full ROM bench press in training. That’s foolish. Again, board presses are a wise choice for increasing one’s lockout abilities but not at the expense of developing proper bench press technique through a complete ROM. Accommodating resistance and overloading specific points in one’s ROM via the use of bands and/or chains is an effective method of bringing up a weak point. However, these modalities stress your central nervous system (CNS) in unique ways and change your technique. Performing a deadlift with chains is not the same as a competition-style deadlift. Accordingly, if your CNS gets used to the motor patterns created by the addition of chains, then the motor pathways of the regular deadlift will be left unattended. As powerlifting is one of the best examples of a “practice-like-you-play” endeavor, I would make competition-style deadlifts the staple movement and use bands or chains as assistance work. Too often, we fall in love with the flavor of the week or the exercise of the month and lose sight of what got us there in the first place. I have always espoused that the Westside system is a more appropriate training method for a non-powerlifting, strength/power athlete than it is for a powerlifter. Most football players want to be bigger, stronger, and faster. Westside will get you there as fast as any system. But what does nearly every champion athlete do when they’re in a slump? They return to the basics and fundamentals. 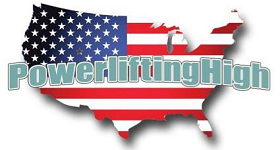 Without mastering the squat, bench press, and deadlift – a powerlifter is nothing. If you want to become a better squatter, you must squat. If you want to improve your bench press, then bench press. And if you want to hit PRs in your deadlift, practice deadlifting. There’s more than one way to skin a cat and there’s certainly more than one way to get strong. If there were only one way to get strong, we’d all be doing it. Nevertheless, there are smarter ways to train for the raw and single-ply powerlifter. After a dynamic and movement-specific warm-up, most training sessions should begin by performing one of the competition movements (squat – bench press – deadlift). Some Russian powerlifting coaches, namely Boris Sheiko, espouse the performance of the main lifts and little else. Sheiko’s templates are traditionally developed for masters of sport. While this method affords the lifter maximum skill acquisition in the competitive lifts, it does little to address individual weaknesses, which may lead to breakdowns in technique. Technical flaws occasionally exist due to a lagging muscle group. Other times, technical issues are simply the result of poor execution like not squeezing your hips at the top of a deadlift. While Sheiko would have you believe that practicing the squat, bench press, and deadlift ad nauseam is the answer, Westsiders would advise the use of special exercises nearly to the exclusion of the main lifts. Frankly, I don’t think either path is the right one for most lifters. I’ve used similar Sheiko-like periodization templates on myself and with my lifters. Currently, we use Prilepin’s Table, almost exclusively, for regulating volume in the squat and bench press. Additionally, we augment the core lifts with assistance exercises periodically derived from Westside’s plethora of movements. Ultimately, we meet somewhere in the middle and I think this is the answer for most. The bulk of a powerlifter’s training should be devoted to the three competitive power lifts. The key to developing expert technique, according to your body structure, is to build your training volume via the number of sets performed not the number of reps. Performing multiple sets of low repetitions provides maximum skill acquisition through increased practice. For example, the training volume for 10 sets of 3 reps is 30 total reps. Similarly, the training volume for 3 sets of 10 reps is also 30 total reps. However, in the first example, the powerlifter gets 10 opportunities (sets) to practice their technique. The second example only offers three chances. Three sets of ten reps are more appropriate for a bodybuilder pursuing muscle hypertrophy. Assistance exercises should be specific to the power lifts in two ways – the muscles utilized and your own weaknesses. Assistance moves should be carefully selected to suit your needs, not those of your training partner(s). If you’re weak during the lockout portion of the deadlift and your training partner is slow off the floor, you may want to add some bands or chains to your deadlifts while they may deadlift off a box or plate. Above all else, examine your technique first. If possible, videotape your lifts so you can go back and watch how your body moves under a load. Take videos while training at different intensities. Your technique shouldn’t break while lifting 50% of your max. But when you’re above 90%, there’s a chance things can change for the worse. We pour the bulk of our training foundation using weights in the 80-85% intensity range. Our goal is to become highly proficient with moderately heavy weights so we don’t overtrain the CNS yet still train intensely enough to elicit strength gains. The volume of work performed in this range translates directly to enhanced technique with heavier lifts in the gym and on the platform. While there are many variables beyond a powerlifter’s grasp, there are a few that you have direct control over. You have entire command over your own training. That’s a huge amount of responsibility. Be wise with your time and practice exactly as you play. In the immortal words of a famed Russian powerlifting coach, “If you want to squat more, you must squat more.” Sometimes the simplest approach is the correct one. Master your technique in the competitive lifts and watch your total increase.